Room 22: Love is in the air..
Today we celebrate Valentine's day and Ash Wednesday. 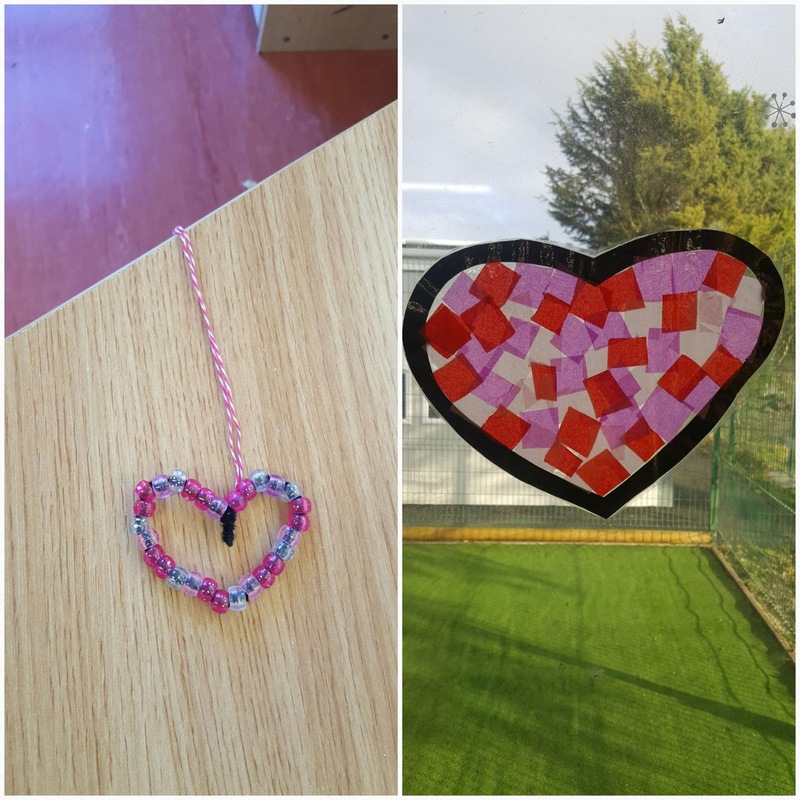 We made heart shaped sun catchers and beaded hearts. We also spoke to our parents and our teacher about our Lenten promises. See you all after mid term break!